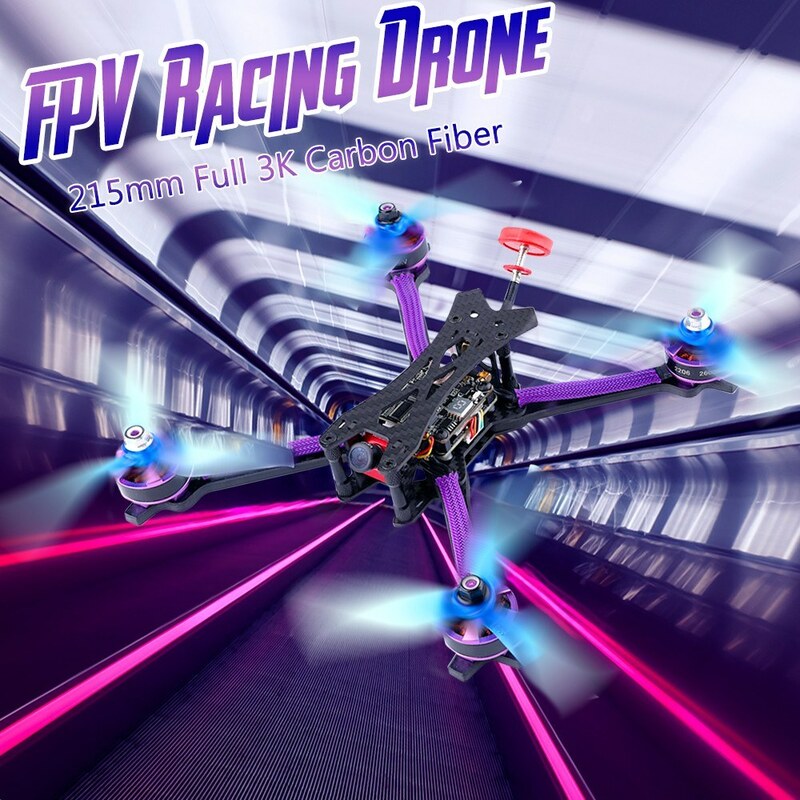 This super cool purple RC racing drone is made of all 3k carbon fiber material. 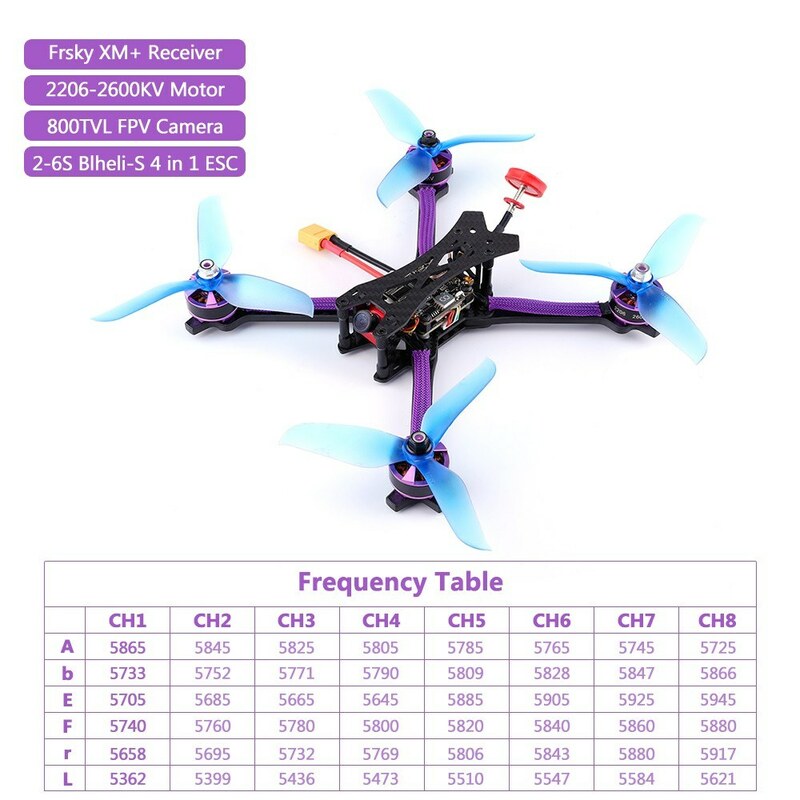 It equipped with high performance 2600KV brushless motor with 1600g thrust, which can bring you a high speed flying show time. 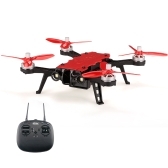 The Drone comes with high quality BLHei-S 4-in-1 30A ESC which can support 2-6S Lipo batteries. 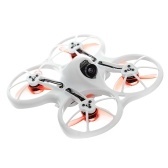 The 800TVL FPV camera provides an exciting vision experience by your own FPV glasses. 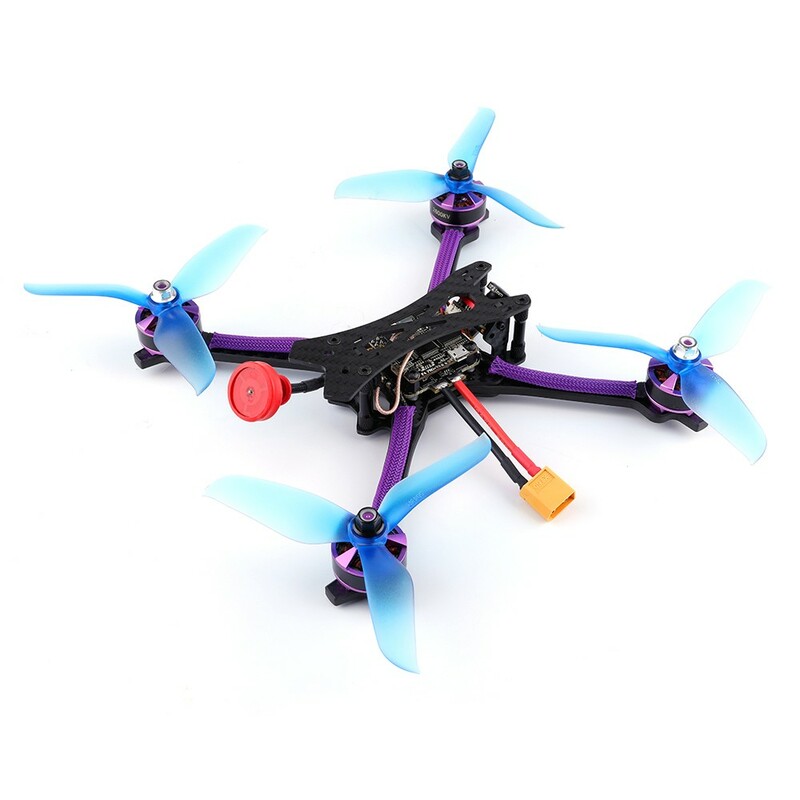 So, take this DIY racing drone home and start your competition training! 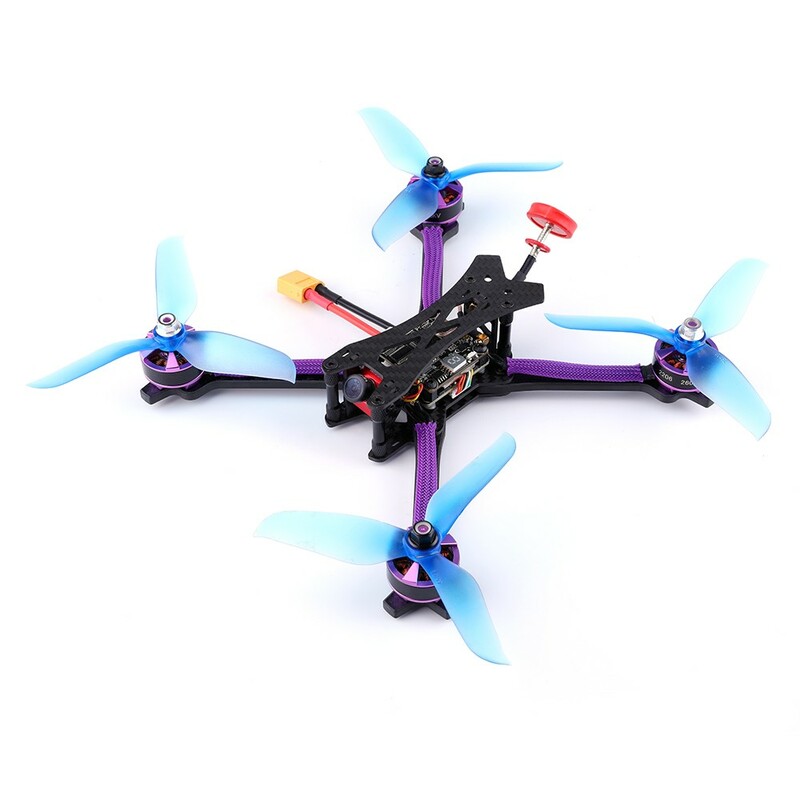 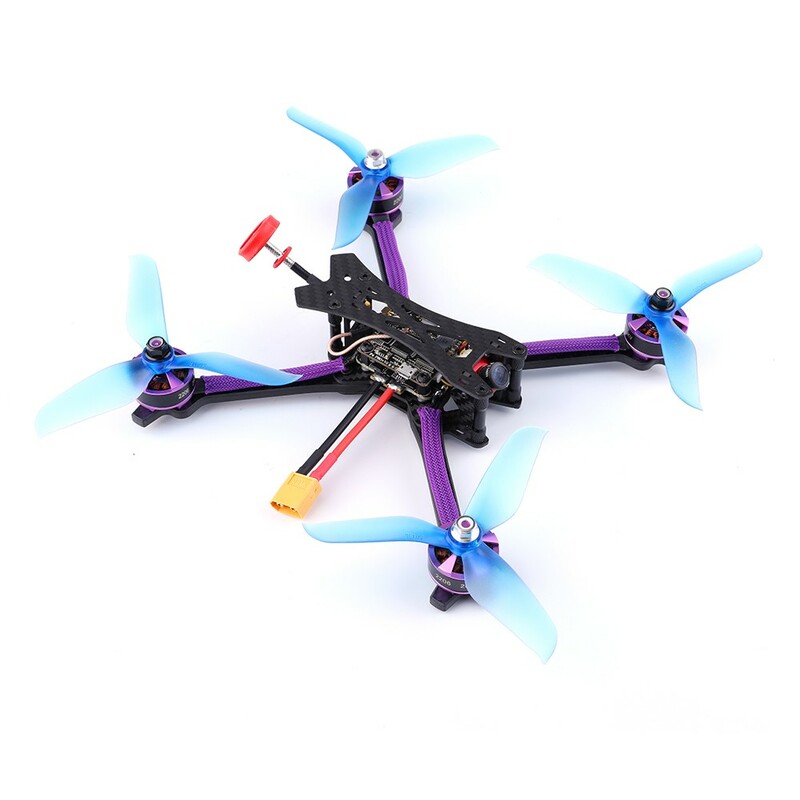 Super Strong Frame: Use mature and stable all 3k carbon fiber board, sturdy and durable. 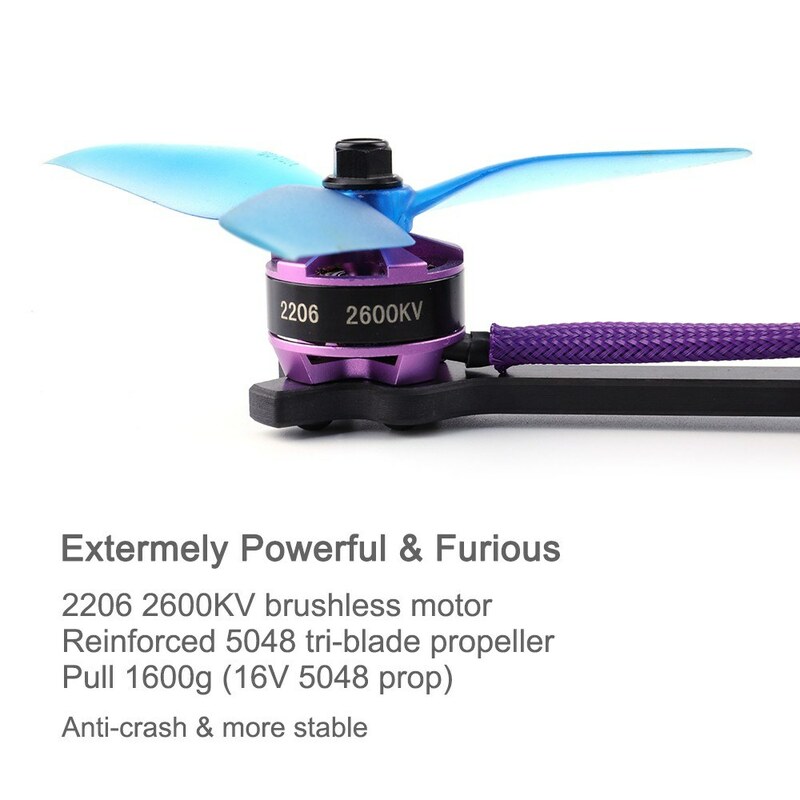 High efficiency 2206-2600KV brushless motor with 1600g thrust, and tri-blade propellers, achieve perfect output. 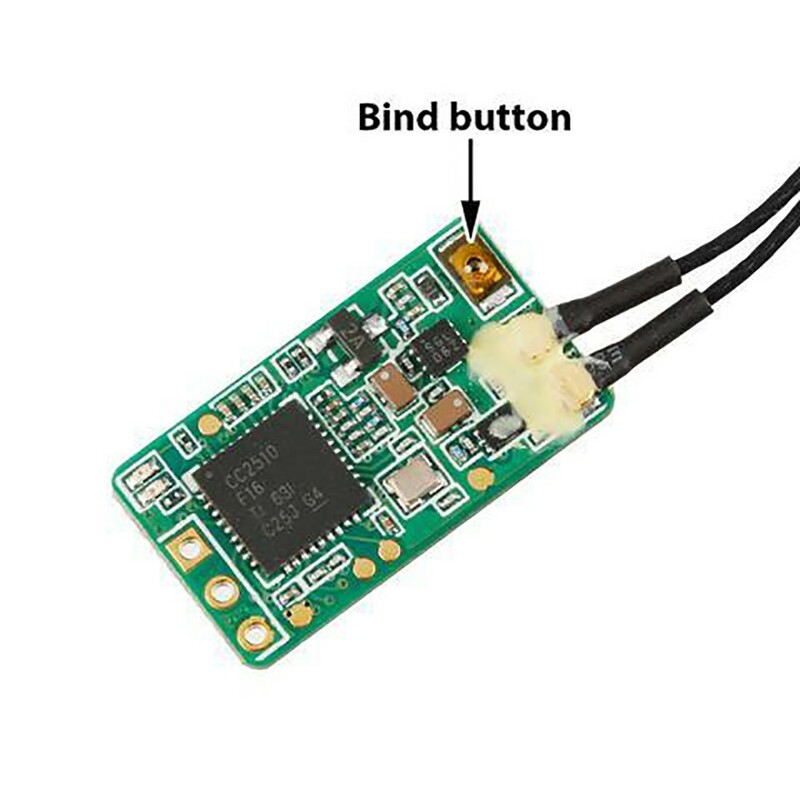 Blheli-S 4 in 1 ECS supports 2-6S Lipo battery featuring auto timing, build in current sensor and smooth response. 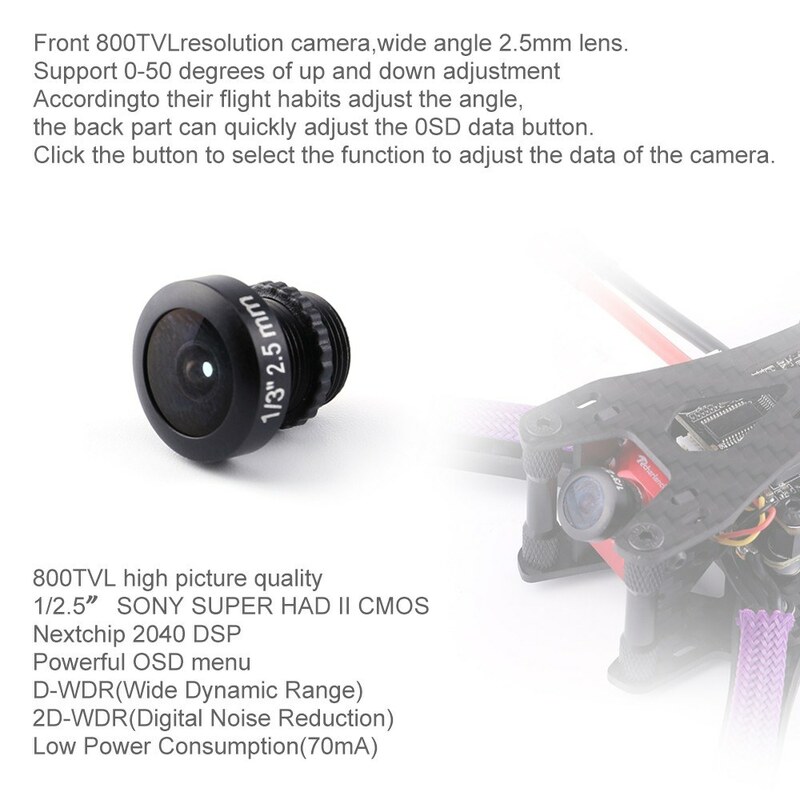 800TVL FPV Camera with 1/2.5'' SUPER HAD II CMOS CCD for real-time transmission and best enjoy your FPV experience(PAL/NTSC). 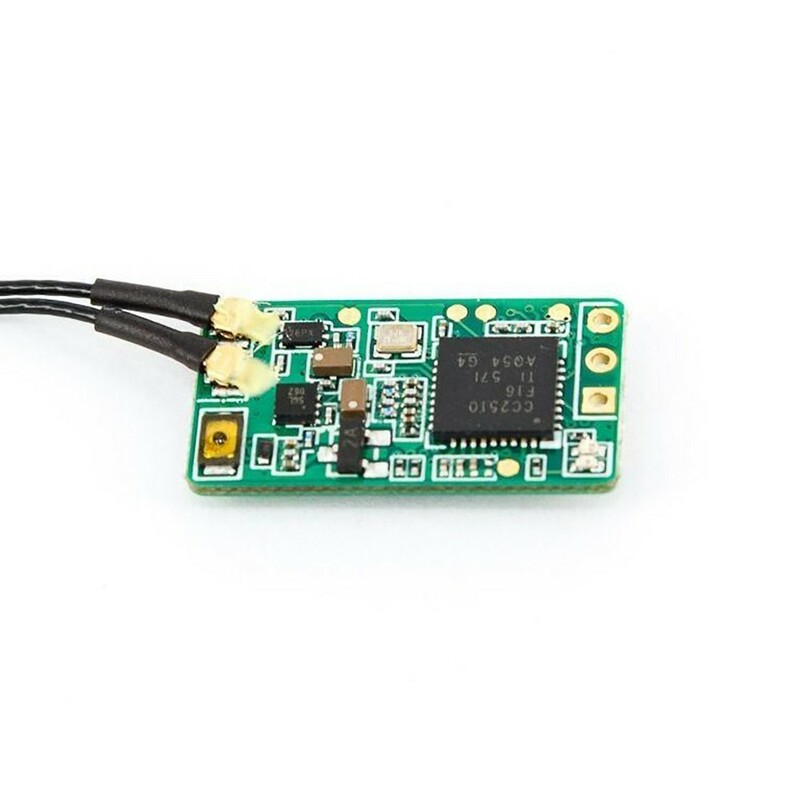 The F4 PRO+V2 flight controller supports up to 800mW VTX and VTX Smart Audio. 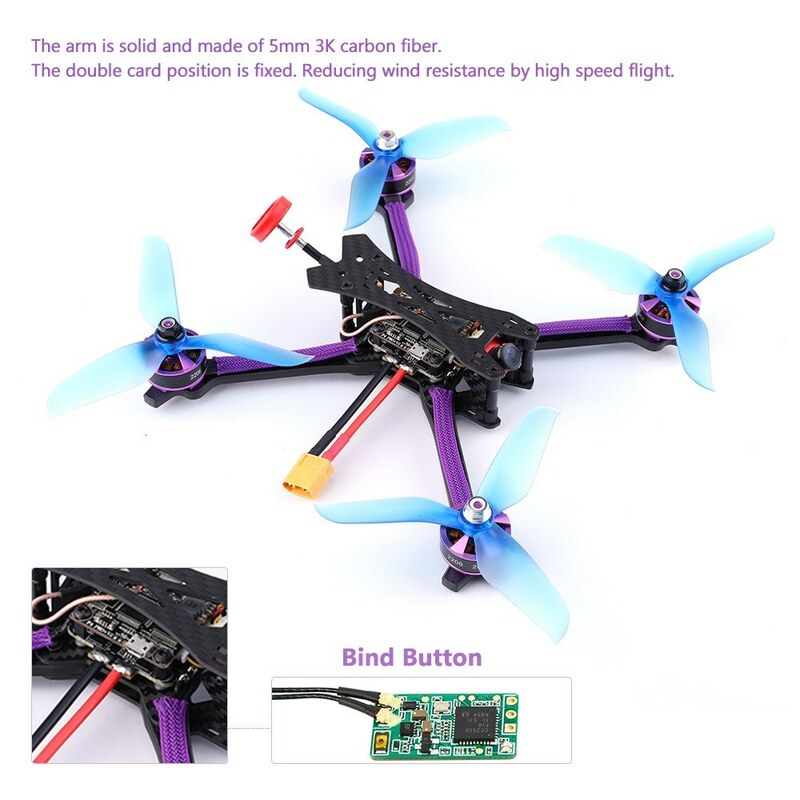 Compatible to Beta flight F3/F4 flight controller Support Damped Mode, Oneshot125, Oneshot42, Multishot, Dshot150, Dshot300, Dshot600, forward and reverse. 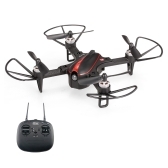 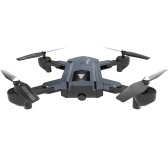 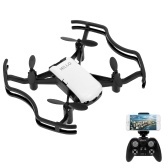 Q Which battery should I buy for this drone?